Good to see my friend Arthur Pendragon is still out there keeping things alive. They are a really great community of people that I think make some very valid points about the unspoken limits of religious freedom. Hope you are enjoying the snow, it’s all a bit slushy and muddy in in SoCal. Also, a late welcome to England! So excellent! 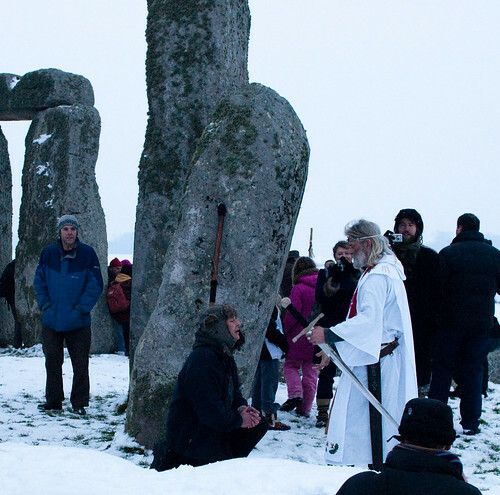 A pre-dawn, winter field trip inside the stones was pretty much the highlight of grad school. 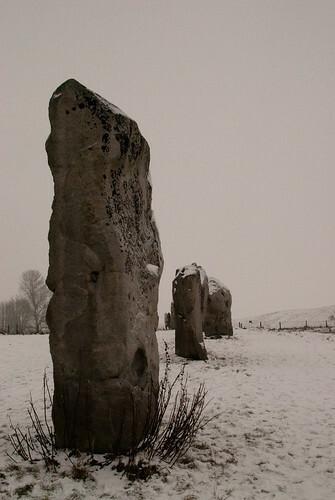 Then we tromped through the avenue of stones to Avebury under a cold, grey sky. 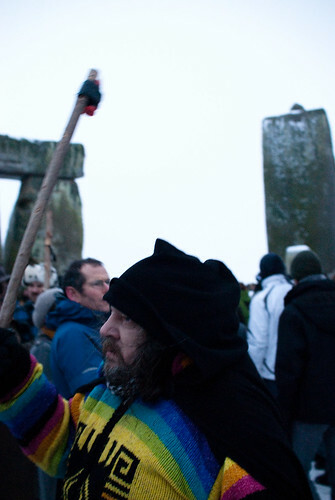 You can perhaps understand that, from a structural archaeologists perspective, that Stonehenge was a timber building [with stone bits]; all that standing around waving things at the sky in all weathers, is not much fun! Yes, absolutely! 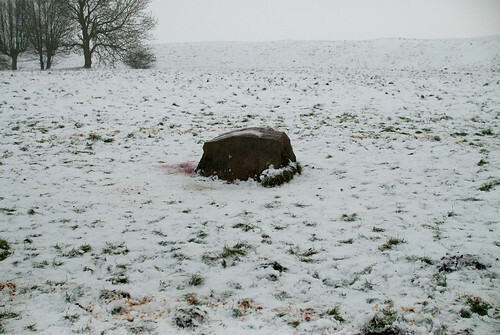 Though I’m interested in the biographies of the stones as well–how they have been used and continue to be used today. 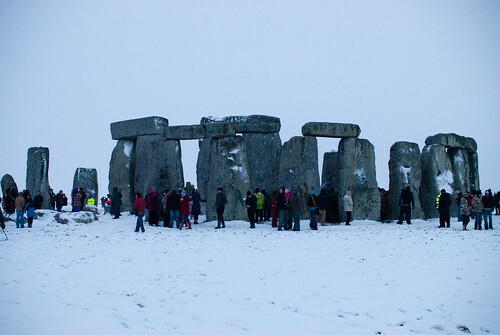 I have some dawn summer solstice photos from 1982ish, with a wonderful mix of druids, hippies, police, with sundry Japanese and American tourists looking on. It’s was quite difficult to photograph, it’s a big space; and I felt a bit inhibited. The druids would probably be lost without the sky to wave at. However, baring a few, and predictably short lived exceptions, religion, ritual, and ceremony is best practised indoors, or you end up confined to bed, [I hope you are fully recovered]. Although, some appear to contend that roofed social space was a Roman introduction, along with windows. Geoff – I’d love to see those photos! I am finally fully recovered, but only just. I can’t believe how terrible that illness was! mmm, so would I – see what I can do, glad to hear your better. Guess what I found, now in post/e-mail! Totally amazing in the snow. Loved the photos. Thanks!